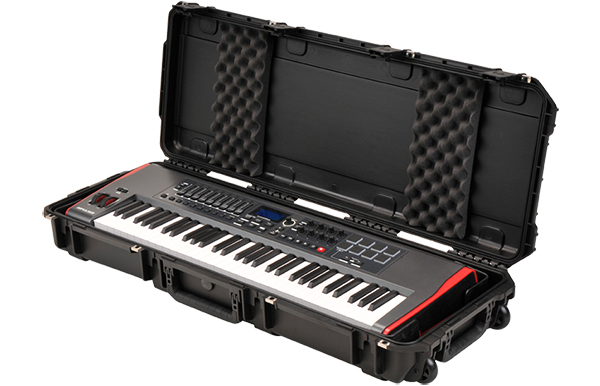 When should you transport your synthesizer or other keyboard instrument in a soft, padded gig bag? The correct answer is “Never,” unless you’re willing to risk stupidly easy damage to your costly instrument. But you crave light weight and easy transport, so what can you do? 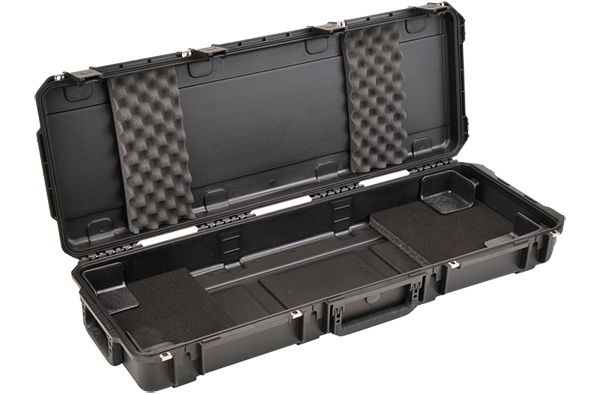 Enter the SKB iSeries case collection. These keyboard cases, an upgrade from the older Roto series cases, are fantastic, providing hard case protection, easy portability with built-in Rollerblade-style wheels, custom interior sizing, and light weight. They are ATA/TSA approved, and waterproof, too, so in the event of a water landing, assuming you can make it to the luggage, you might just float out of danger with your keyboard intact. 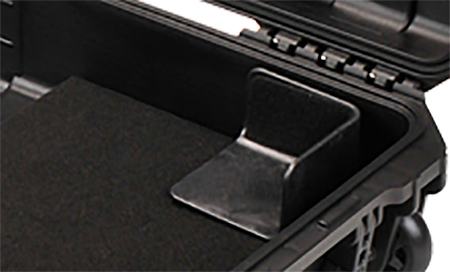 The case starts with military-grade materials and construction, with field-serviceable handles and latches. The case itself has rubber gasket seals and a mil-spec ambient pressure equalization valve, which lets it adjust naturally to changes in cabin pressure during air travel. We tested one of the 61-key keyboard cases, which has four latches that utilize SKB’s trigger release design, and a built-in, TSA-approved, two-lock system (you can even add additional locks externally should you be super-sensitive about the contents of your case). A pair of Rollerblade-style wheels at one end worked great, and a handle on the opposing end of the case facilitated transport. 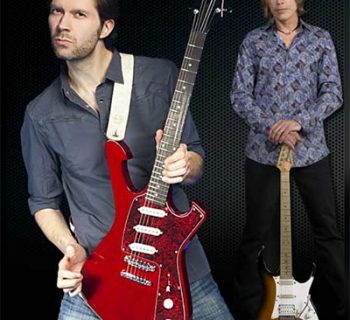 The case itself is under 18 pounds, so loaded up with a Dave Smith Prophet 12, it was still easy to carry. We really like the rubberized grip on the handles, too. Having invested in a number of custom-sized keyboard cases, we were initially skeptical as to how one case can accommodate multiple keyboards of varying shapes and sizes, but we chose the case with nearest approximate dimensions and hoped for the best. We were not disappointed. SKB’s cleated corners are the answer to a custom fit. The corners seen in the photo below have little spikes underneath, and they grip into the foam base for a customized fit. 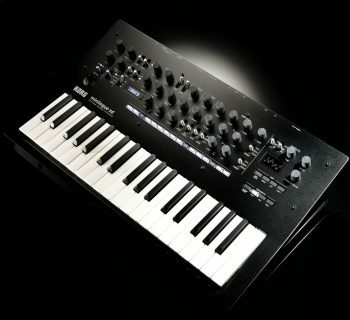 We found that with our Prophet 12, there was just enough room such that when the keyboard was placed far to one edge of the case, there was just enough room to the right of the keyboard to stash our sustain pedal, and room in front of the keyboard for our neoprene dust cover. The foam in the lid further secured our keyboard. 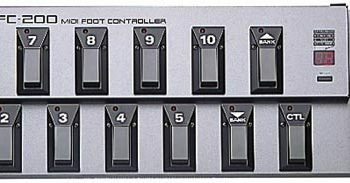 SKB maintains a list on the product page with numerous keyboards they have found to fit inside the case—in case you have trouble finding your own product’s dimensions online or in the manual… or you can’t figure out how to operate a measuring tape. 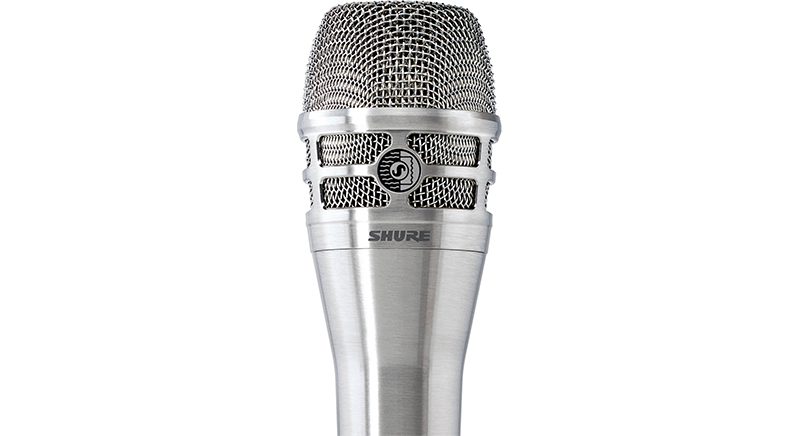 The SKB 3i-4214-KBD case (MSRP $364.99) sells for less than $225, and has SKB’s standard lifetime warranty, making it an excellent value. Really, if there’s a version of this case that fits your keyboard, there is nothing to fault. It’s easy to transport, extremely rugged, and priced competitively… with better quality gig bags!